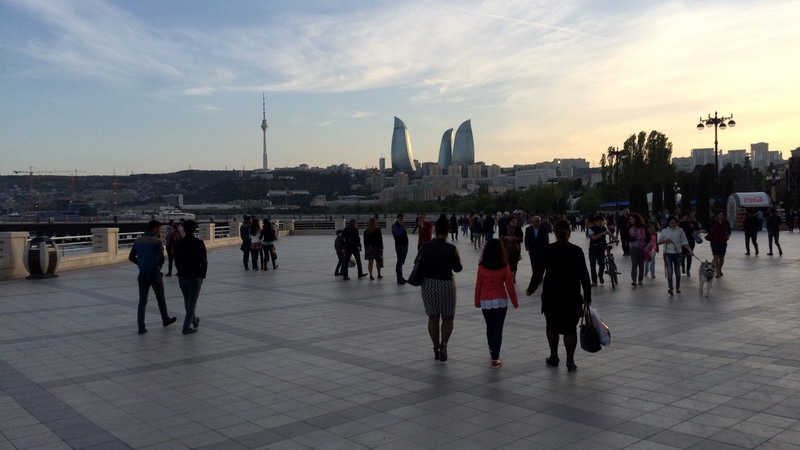 There’s enough to see and do in Baku that you needn’t leave the city if you have a day or two to spare. Simply enjoy strolling the city’s streets, soaking up that Mediterranean heat whilst sampling the delights of its melting-pot cuisine. Turkish style kebabs can be found on virtually every street corner, and Persian flavors emanate from restaurants and cafes all over the city where pomegranate-studded salads and aromatic rice dishes are served alongside all manner of spiced meats. Azerbaijan’s most famous local produce is Caspian Sea caviar, and its tea of choice is taken black with fruit preserves as an accompaniment. Within this 12th century World Heritage Site is the Shirvanshah’s Palace and the Maiden Tower, found amongst shaded courtyards and cobbled streets packed with tea houses and carpet shops. Shirvanshah’s Palace is a stunning work of medieval architecture and craftsmanship with a complex of tombs, mausoleums and bath houses, with its domes sitting high on the city’s highest hill. The Maiden Tower is 29m tall and its walls are up to 5m thick. The tower also operates as a museum, with an entry fee of 8 AZN (€4.10 EUR). Be sure to climb to the top for brilliant views of the city and the Caspian Sea! This is the name for the esplanade (or boulevard) which hugs the coastline along the city’s harbor. 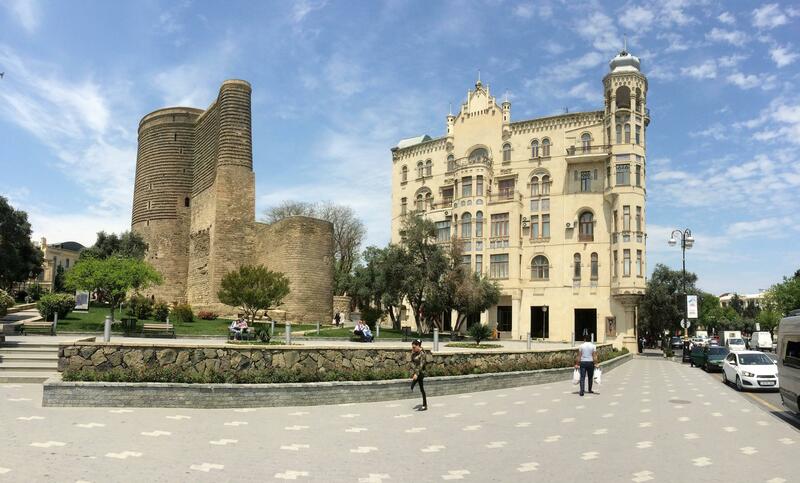 Popular with locals and tourists alike, no trip to Baku would be complete without a visit to the Bulvar. There’s plenty to see, including ‘Little Venice’ dating from the 1960s with gondolas and shallow waterways, plus good views of some of the city’s landmarks (including the imposing Government House and the Flame Towers.) You’ll also find plenty of restaurants and cafes. The Azerbaijan Carpet Museum has a most fantastic facade (its huge roof resembles a giant rolled up Persian carpet) and houses the world’s largest collection of Azerbaijani carpets and rug items. Situated at the city’s seafront park, it’s a fun way to spend an hour or two in the heat of the afternoon. Live carpet making demonstrations every day. Open Tuesday-Friday from 10:00-18:00 and weekends from 10:00-20:00, closed on Mondays. Entrance 7 AZN for adults (€3.60) and 3 AZN for children/students. Another staggering work of modern architecture, the Heydar Aliyev Cultural Center is a curvaceous landmark designed by Zaha Hadid which houses all manner of contemporary and traditional Azeri cultural exhibitions, including a popular set of Azerbaijani buildings in miniature. 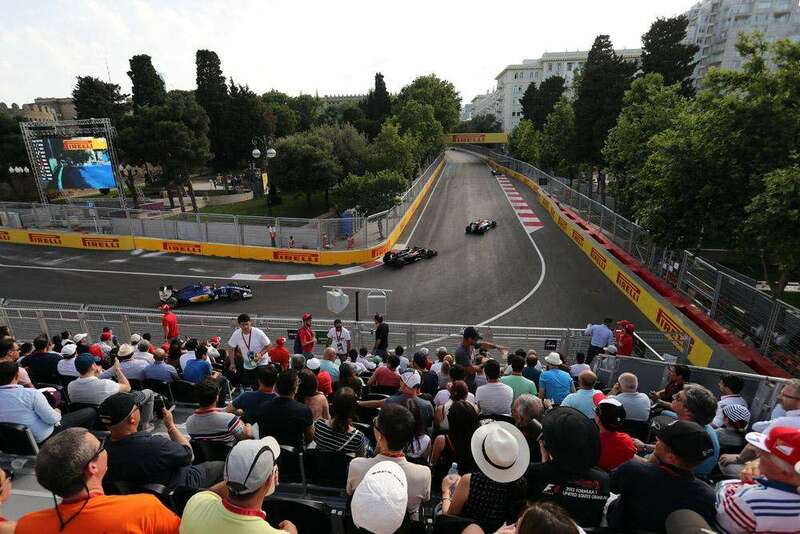 Find the towering ‘I Love Baku’ sign for a selfie. Standard tickets to all the exhibitions cost 15 AZN (€7.70). Buy a separate ticket (10 AZN, €5.15) for the Classic Car Exhibition on the 3rd floor; only open Friday-Sunday. Tickets can be bought in advance through the center’s website. 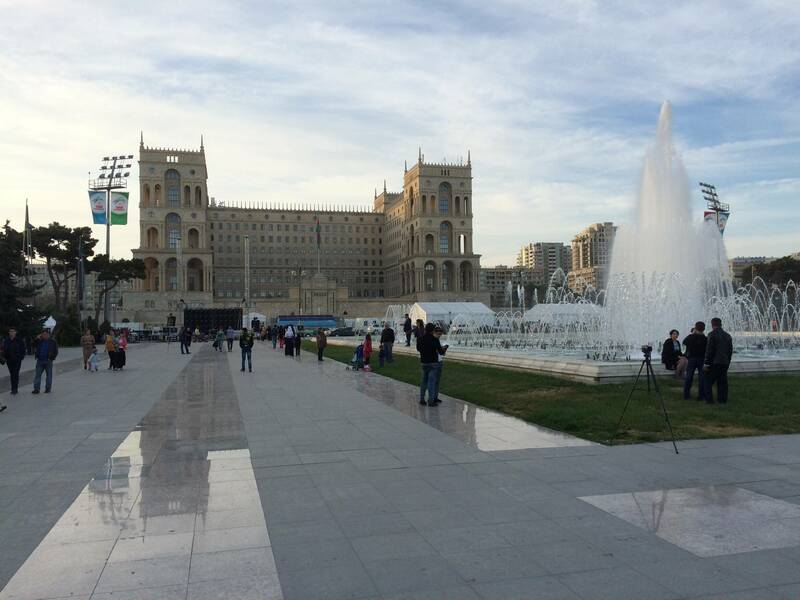 A leafy piazza in central Baku and a perfect spot for strolling and taking photographs. Its dozens of Soviet-style fountains and statues are surrounded by plenty of street side bars and cafes, perfect for sitting in the sunshine and watching the world go by. 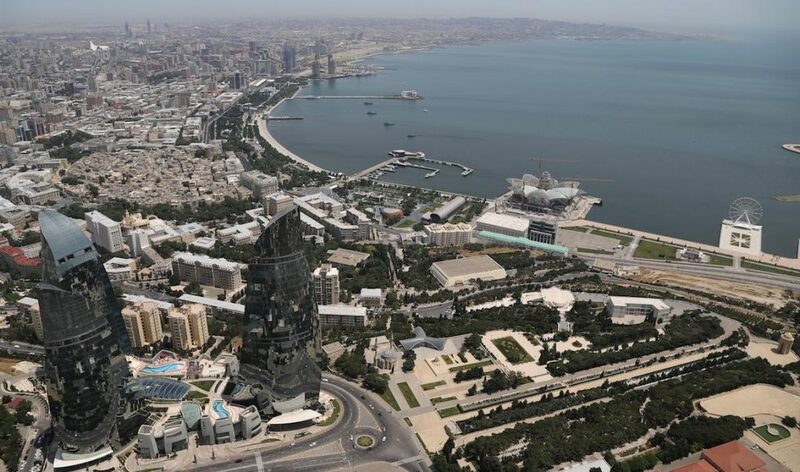 Take a half-hour trip out of Baku’s main harbour on a summer’s evening and appreciate the staggering cityscape – especially its iconic Flame Towers – from the water. There is no audio guide, bar or restaurant on board and tickets are just 2 AZN per person. 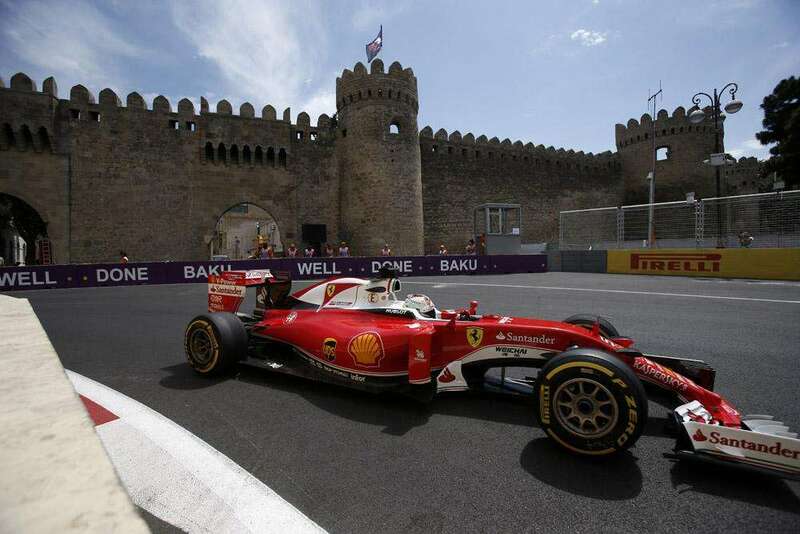 Have you been to Baku? Leave a comment with your must-sees and must-dos.